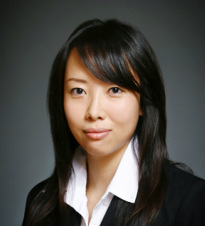 Jin Sook Ahn has dedicated her career in real estate industry since 1996. She became a broker in 1999. In 2008, she received the Certified Commercial Investment Member (CCIM) - the highest designation reserved only for real estate professionals with a proven track record in maximizing returns on real estate investments. As one of the two Korean-speaking real estate brokers in Texas with the prestigious CCIM designation, Jin Sook Ahn currently provides unrivaled commercial real estate services in areas such as Houston, Austin, Dallas, San Antonio, McAllen, Harlingen, and Laredo. Jin Ahn’s focus has been with commercial and industrial real estate, and she has been assisting a number of international corporations with establishing a presence in the United States by opening an office in close proximity to industrial manufacturing plants in Texas. Jin Ahn has attended Yunsei University in South Korea before immigrating to U.S., and her fluency in both Korean and English and exemplary business culture continues to win her high accolades among her business partners, clients and colleagues. Jinah So has been involved in real estate in the Greater Houston area since 2009 and has experience in property management and residential and commercial transactions. In addition to her expertise in creative marketing, she excels in residential, commercial, investment real estate, land and vertical development, construction, contracts, negotiations and real estate analytics which allows her to cater a wide range of client's needs. Her services include brokerage representation and consulting. Jinah’s diversity of experience, knowledge, honesty and the drive to provide the best customer service possible serves as the solid foundation necessary to serve her clients in today's competitive market.